Through our strategic partnership with the Bergquist Company, Orion Industries has been able to supply a wide range of thermal transfer materials and products to our customers. We have developed a body of knowledge about these various materials and have learned to speak their language. Orion Industries is capable of producing the entire catalog of standard parts, in a range of thicknesses from 0.004" to 0.25" thick. 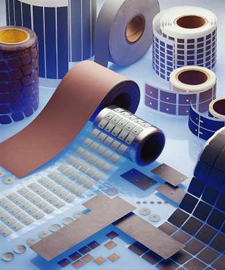 Now you can purchase Bergquist® thermal materials from us online.